Yon koudèy sou foto kap domine atyalite a. 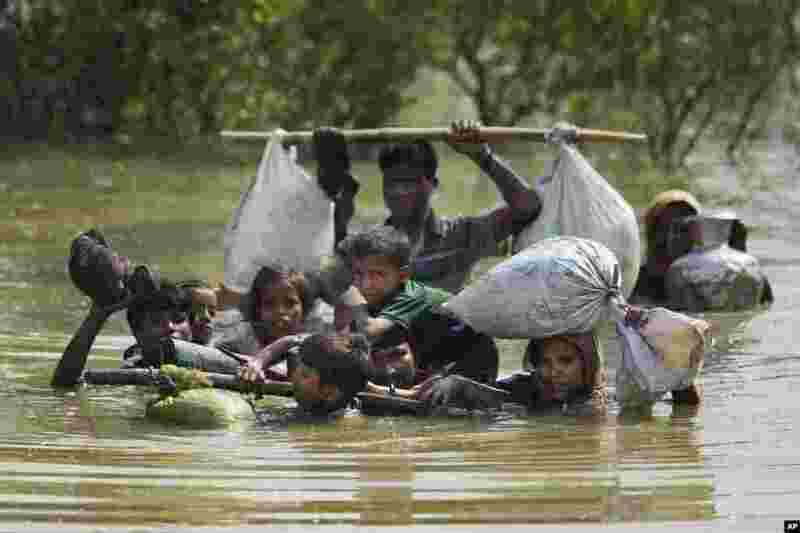 5 A Rohingya family reaches the Bangladesh border after crossing a creek of the Naf river on the border with Myanmmar, in Cox's Bazar's Teknaf area. 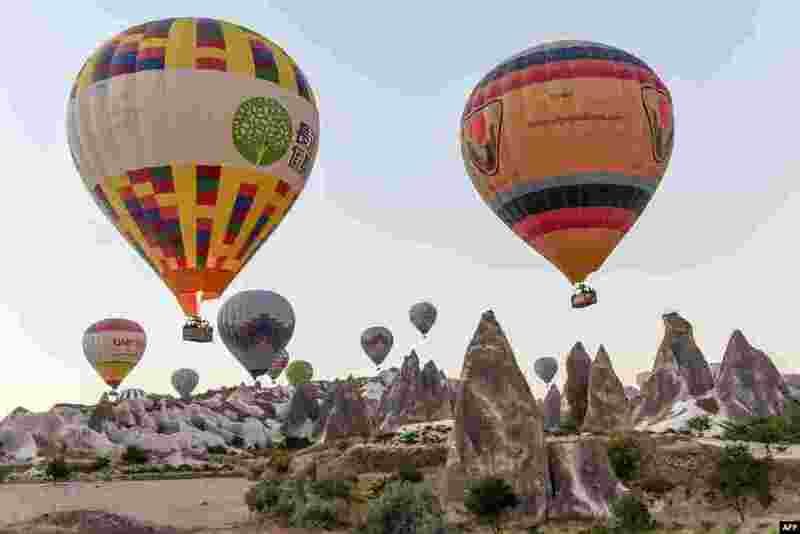 6 Hot air balloons glide during a flight over Nevsehir in Turkey's historical Cappadocia region, Central Anatolia, eastern Turkey. 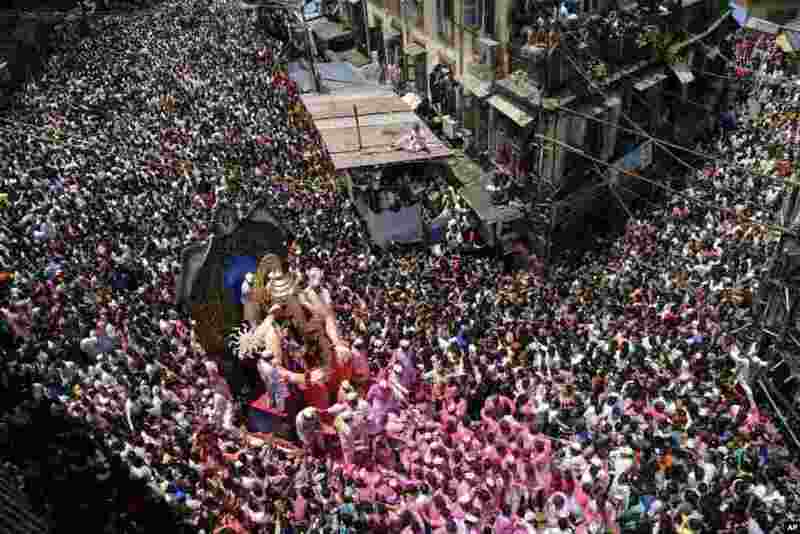 7 Hindu devotees participate in a procession toward the Arabian Sea with a giant idol of the elephant-headed god Ganesha to immerse it in the water on the final day of the 10-day-long Ganesha Chaturthi festival in Mumbai, India. 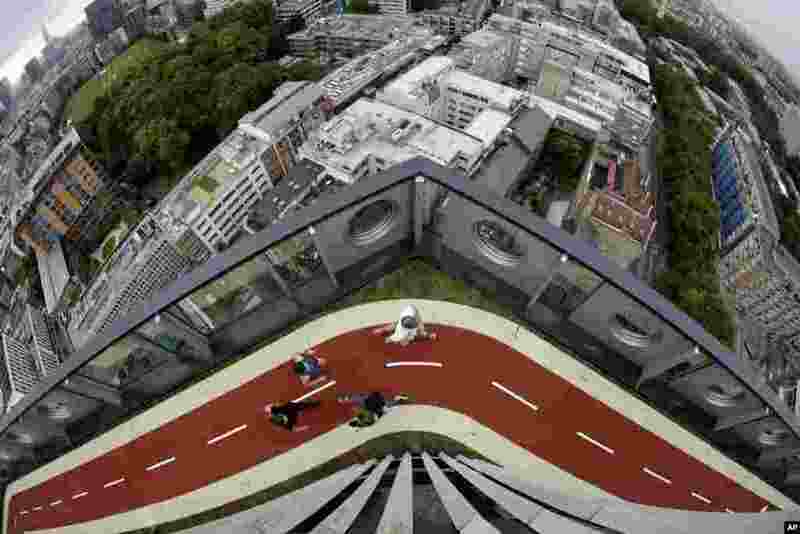 8 People run along a stretch of the new 150-meter rooftop running track, as seen from the roof terrace of the recently redeveloped 16-story office tower of the White Collar Factory development in London. The new track is the highest one in London.